Celebrate your independence with post-apocalyptic goodness! Fallout Shelter was definitely one of the biggest surprises to come out of E3 2015, and it has since continued to dominate the App Store. 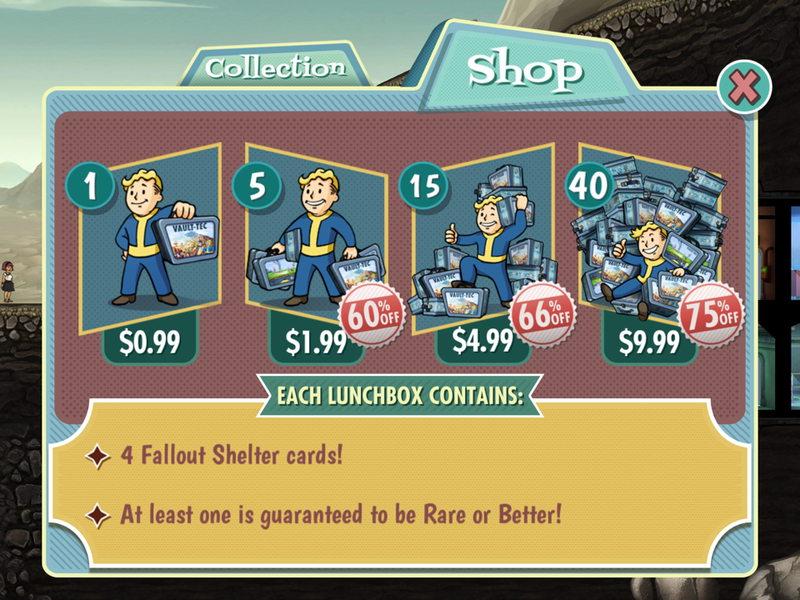 With the holiday coming up tomorrow, Bethesda has offered a very special treat for those who have been faithfully spending money on the app, despite its near absence of IAPs: Lunchboxes that are now 50% off! If you've got a barbecue or two to head to this weekend, you can pick up some extra Lunchboxes with special items inside: outfits, caps, weapons, and other equipment that'll make your time in the Wasteland and Vault a little easier. If you decide to pick up a few, stop by and let us know what you got, and have a happy Fourth of July holiday if you're in America! Everyone else -- this is an awesome sale you can get in on, regardless of the holiday!